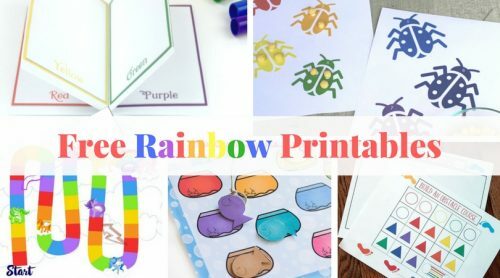 Teach rainbow colors using this free printable rainbow booklet. 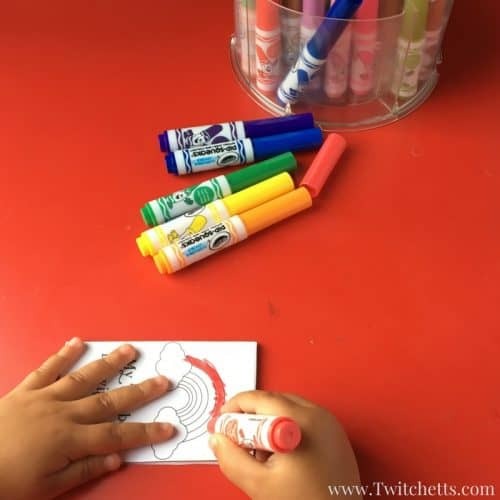 Print out the rainbow activity and let your child draw the colors of the rainbow. If there is one thing I can always fall back on with my little one it’s coloring. 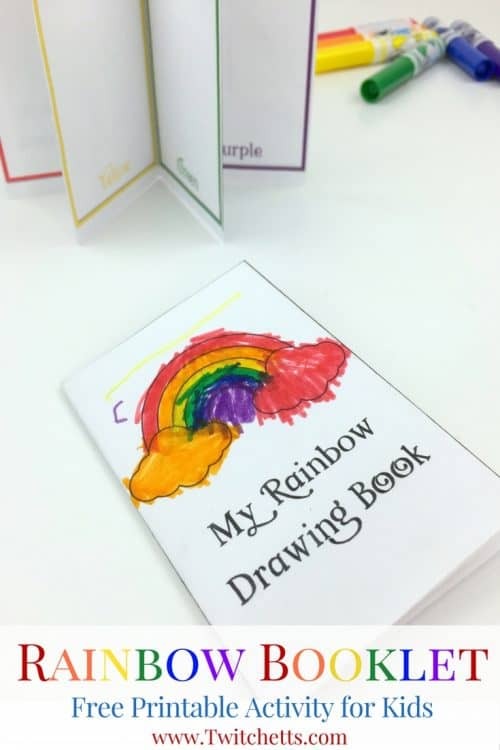 Since we have been loving all things rainbow lately why not create a fun rainbow booklet! Just print, fold, & cut. 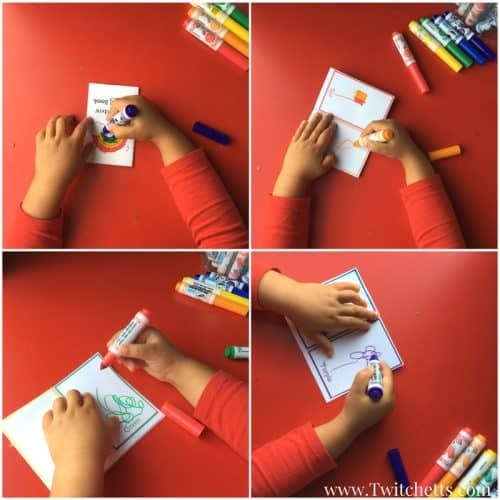 You can assemble them quickly then pass them off to your little one to fill in the pages! We have made about 5 of our Dad books for Father’s Day this year… and we are catching up quickly with these fun rainbow booklets. Rainbow Colors. Markers, pencils, or crayons. You can watch the video below to see how to assemble the book, or head here for picture directions. Once you have your book assembled hand it over! Your little one can start by coloring the front rainbow or wait and leave that for the finishing touch. Each page inside is a prompt to draw something of each color of the rainbow. When they are finished be ready to have them read you their color story. I know I have heard V’s quite a few times. It’s fun to see what they think of for each color. From yellow lollipops, blue blueberries, and really curly snakes, they will have fun creating this rainbow booklet all on their own. You could also take this booklet outside and find things in nature to tape to each page! 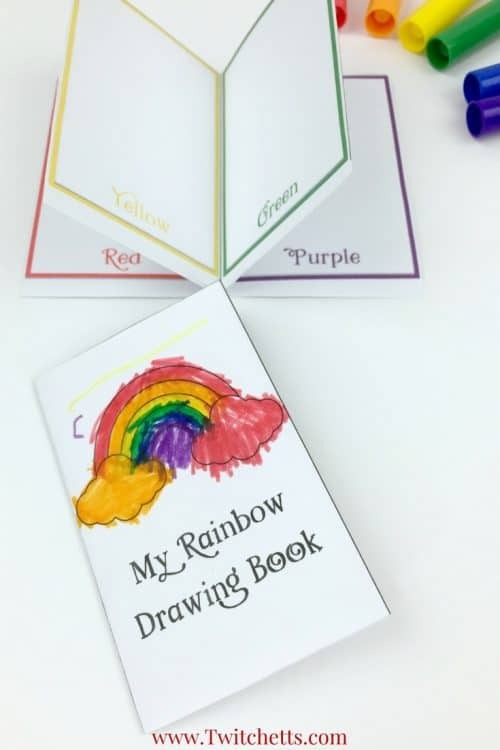 What will your child create with their Free Printable Rainbow Booklet? Pin this to your activity Pinterest board. Find more Free Rainbow Fun!